This holiday season… you’ll want to pack a lunch. 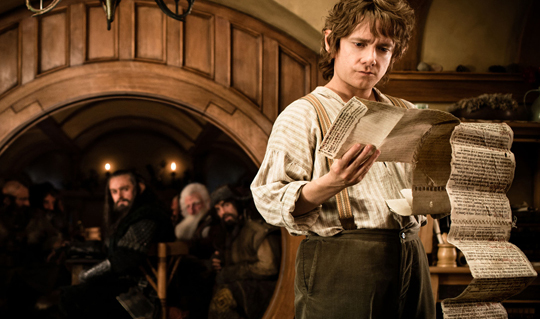 – Peter Jackson reveals The Hobbit: An Unexpected Journey‘s expected runtime to Empire Online. I hope you’re all as excited as I am to hear that the film is set to be Jackson’s shortest Tolkien adaptation so far. See also: least deadly genocide, friendliest terrorist, tastiest faeces.